The Centre for Sustainable Communications (CESC) is an intersdisciplinary research environment, situated at the main campus of the KTH Royal Institute of Technology in Stockholm, Sweden. It provides a forum for knowledge exchange and collaboration between industry, the public sector and research. Together with its partners, CESC conducts innovative research on ICT for sustainability aiming to contribute to a change of society in a sustainable direction. The VINNOVA Centre of Excellence for Sustainable Communications was founded in 2007 and is one out of 18 VINN Excellence Centers. CESC receives a base funding from VINNOVA (The Swedish Governmental Agency for Innovation Systems) via a 10 year grant courtesy (2007-2017). 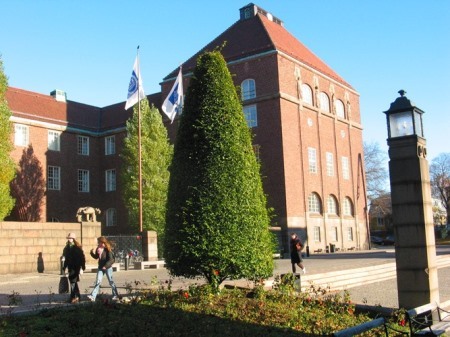 Hosted at the KTH Royal Institute of Technology with strong ties to the School of Architecture and the Built Environment, the School of Computer Science and Communication and other research units, CESC is embedded in a strong international research environment. CESC’s activities are overseen by a board chaired by Christer Törnevik (Ericsson). CESC’s daily operations are lead by Mattias Höjer. CESC collaborates with industrial and public partners that constitute a diverse mixture of multinational companies, public authorities and research institutes. We are now starting the 4:th contract contract period (July 2015 – June 2017), and CESC has seven partners.